You’ve decided to buy a home. Before you start looking at properties, make sure you get a solid understanding of your many mortgage financing options. 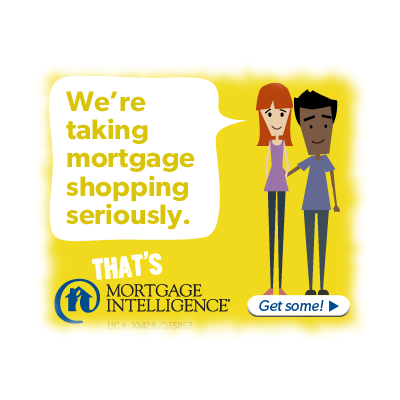 There are many different mortgage products and programs that can help you get into the market – and more are being introduced all the time. How much can you reasonably afford? An important step is to get a mortgage pre-approval. As a mortgage professional, I have all the details. Once you are pre-approved you will know your price range for properties, as well as what interest rate you can secure for a set period, usually 90 to 120 days (“mortgage rate-hold” period). Also consider what you can comfortably afford for a monthly or bi-weekly mortgage payment – factor in other costs such as car payments, leisure activities, savings etc. A key hurdle for most first-time home buyers is saving up for a down payment, normally at least 5% of the value of the property. If your down payment is below 20% of the purchase price of the property, “high ratio” mortgage insurance fees are added on top of the mortgage amount. Mortgage Tip: with the federal Home Buyer’s Plan, you can access funds in your RRSP for a down payment – up to $25,000 per mortgage applicant to buy or build a home without tax penalties. Certain conditions do apply and you must repay the funds back into your RRSP within 15 years (a minimum of 1/15th of the loan must be repaid each year) to avoid tax implications. If you’re like most first time buyers, getting the most value for your housing dollar is crucial. With access to a full range of mortgage products and extremely competitive mortgage rates, I can help you realize your dream of home ownership. Often your dream home requires a little construction or even a full build. Not too worry, we have many options for your, as well as the expertise to help guide you along your new project. Your life style may require having your dream home located on a large parcel of land, so whether you are looking at vacant land for your future dream build or see and existing property on a multi-acre lot, we have many options to make this dream a reality. Real Estate is a great Investment Vehicle to add to your portfolio. Did you know that McDonald’s is really in the Real Estate business – they just use hamburgers to pay the mortgage. You might want to look at purchasing a rental property as your investment, or look at a commercial property to locate your business – instead of feeding someone else’s investment. Contact us and we can give you details on how to get started, or apply on-line, and we will review your information upon getting in touch with you.